Sunday, I wept as I took communion with a student who leaves for college this week. She is a little nervous for the experiences she will face, the big step of leaving her family, the uncertainty of who she will worship with next week. 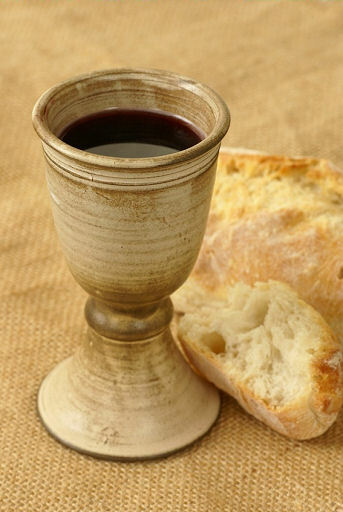 As I held the bread and the cup- I told her she was ready- she is ready because of this broken body and shed blood of Jesus- she is ready because she knows Him, she’s seen him in her parents, in this church family at WCC, she saw him in Tanya in Mexico, and maybe she saw a little bit of Jesus in me. And this is what the life of a Jesus follower looks like… we go. I told her she is not leaving, she is going- going just as Jesus sent us to go- she takes with her the experiences so far, she takes with her the gifts of the Spirit, she takes with her the love and support of a church family, she takes with her the reality of a Kingdom to share with the world – and a command to ‘go’- so I looked her mom in the eyes and said ‘this is Christ’s body broken for you’ and I looked this student in the eyes and said ‘this is Christ’s body broken for you’ and we participated in this holy moment together, where Jesus reminded us of his love for us, the price he paid for us, and his promise to go with us. I hadn’t wiped the tears from my face, when Dave walked by us with his arms around Jesse Mae and Larry Thomas (an elderly couple that demonstrates a servant heart so beautifully- he cleans the baptistry and fixes the lift and our plumbing when we need it, she cleans and stocks the kitchen at the church building and they do a million other things that this church can’t live without). They were coming before the church for prayer- Jesse Mae has a recurrence of cancer on her lung and has decided to forego treatment. 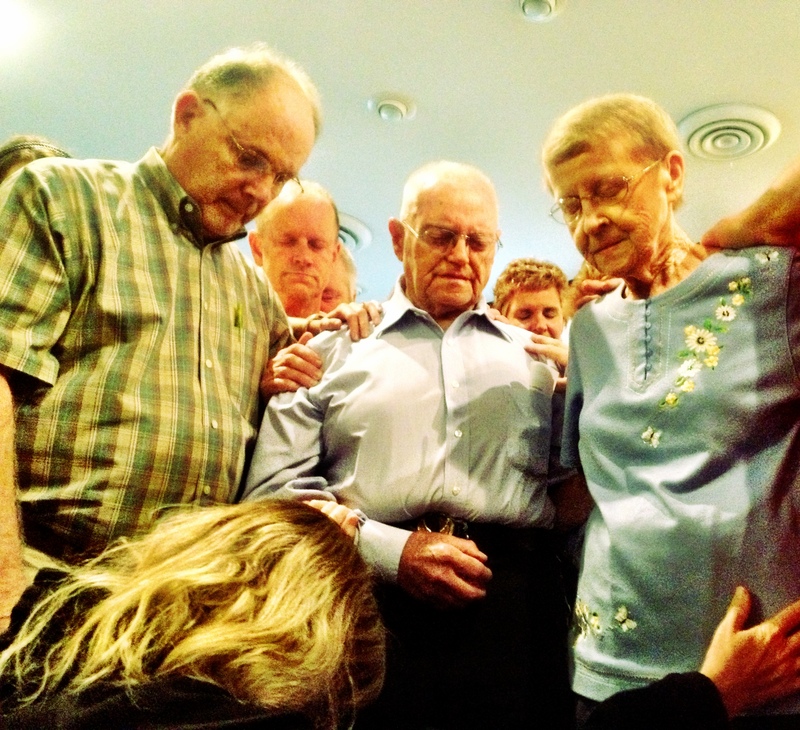 They came to pray for comfort–this tough little elderly lady says, ‘I’m ready’ and Larry’s eyes show concern and uncertainty (we want to and some do pray for healing because although her heart says ‘ready,’ our hearts selfishly are not as ready). The shepherds laid their hands on them as the rest of the church gathered around–some kneeling, some hands lifted high, some hands wrapped around each other in comfort–and we prayed for this precious family as we wept. This is why Sundays matter. Because we were made for community and redeemed for a kingdom by a God who defeated death on a Sunday. When we gather this is still happening–death is defeated and life springs up from the ground; darkness fleas and light brings hope and mercy and comfort and restoration.